When morning gilds the skies was translated by Edward Caswell (1814—1878). from an anonymous German text, “Beim frühen Morgenlicht,” thought to date from around 1800 (perhaps even the mid-1700s). The German text was first published in Sebastian Portner’s Katholisches Gesangbuch (1828). The words were reworked by Robert Seymour Bridges (1844—1930), England’s poet laureate (1913) and friend of Gerald Manley Hopkins, whose works he arranged to have published posthumously. The images of the rising sun carry over to the second stanza as the “night becomes as day” and the “powers of darkness fear.” However, stanzas three and four switch from visual images of light to aural images “joyous with the sound” of praising Christ. The hymn, like many hymns, was originally much longer. C. S, Lewis asked for better and shorter hymns, and most hymns in modern hymnals have at most five stanzas. Perhaps modern attention spans are shorter. Here is Coral Ridge. Here is First Plymouth in Lincoln, Nebraska. Here is the tune the German version uses. 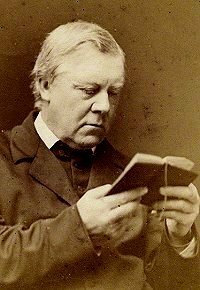 Edward Caswall, (15 July 1814 – 2 January 1878) was an Anglican clergyman and hymn writer who converted to Roman Catholicism. He was born at Yateley, Hampshire on 15 July 1814, the son of Rev. R. C. Caswall, sometime Vicar of Yateley, Hampshire. Caswall was educated at Marlborough Grammar School and Brasenose College, Oxford, where he graduated Bachelor of Arts in 1836 with honours and later proceeded to Master of Arts. He was curate of Stratford-sub-Castle, near Salisbury, 1840–1847. In 1850, his wife having died the previous year, he joined the Oratory of St. Philip Neri under future Cardinal Newman, to whose influence his conversion to Roman Catholicism was due. He wrote original poems that have survived mainly in Catholic hymnals due to a clear adherence to Catholic doctrine. Caswall is best known for his translations from the Roman Breviary and other Latin sources, which are marked by faithfulness to the original and purity of rhythm. They were published in Lyra Catholica, containing all the breviary and missal hymns (London, 1849); The Masque of Mary (1858); and A May Pageant and other poems (1865). Hymns and Poems (1873) are the three books combined, with many of the hymns rewritten or revised. Some of his translations are used in the Hymns Ancient and Modern. His widely used hymn texts and translations include “Alleluia! Alleluia! Let the Holy Anthem Rise”; “Come, Holy Ghost”; “Jesus, the Very Thought of Thee”; “When Morning Gilds the Skies”; and “Ye Sons and Daughters of the Lord”. 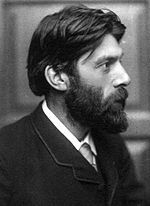 Robert Bridges (1844-1930) was poet laureate of England from 1913 until his death. 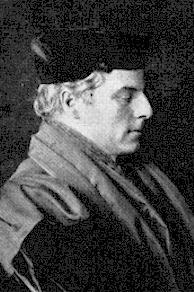 At Oxford he was a friend of Gerald Manley Hopkins and arranged for the publication of Hopkins’ poetry posthumously. The tune LAUDES DOMINI was composed for this text by Joseph Barnby (1839—1896), English organist and composer. The rising melodic motif complements the rising sun that “gilds the skies” of the early morning. Within two phrases we soar an octave above our starting pitch—indeed our voices ascend with the rising sun about which we are singing. 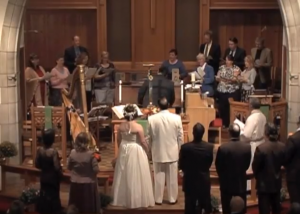 The melody ends on an unusually high note for hymns, proclaiming the text, “May Jesus Christ be praised!” These five words form a brief refrain that encapsulates the intent of the entire hymn. From a long list of his works, only a handful have stood the test of time – his part song setting of Longfellow’s poem Sweet and Low, the hymn tune O Perfect Love set to the hymn of the same title, and another hymn tune Laudes Domini set to When Morning Gilds the Skies. Draw us in the Spirit’s tether was written by Anglican Percy Dearmer (1867—1936). Objections have been raised to its seemingly low Eucharistic theology, but it has been used at papal ceremonies, and the melody is lovely. 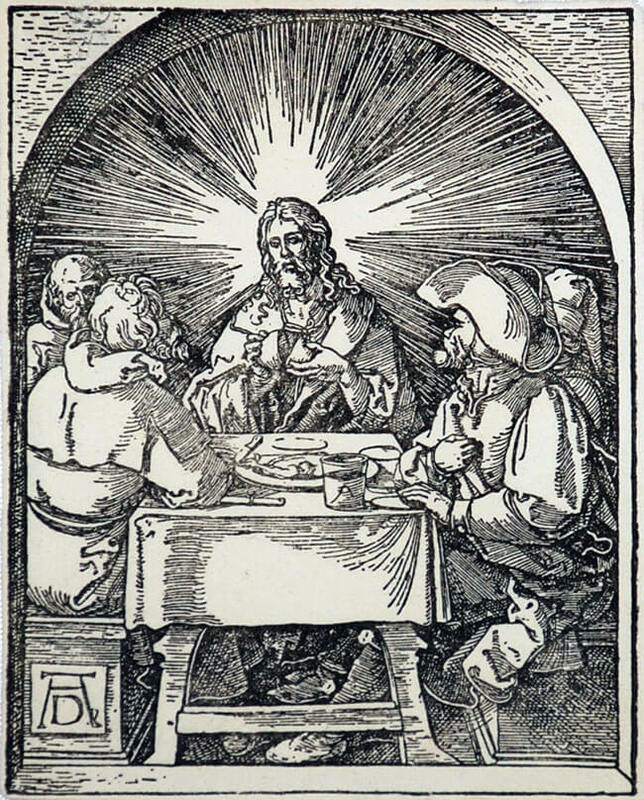 Jesus has promised that he will be present when we gather in His name, and indeed the purpose of our receiving Him in the Eucharist is to become one body with Him, and our love and service is sign to the world of His presence. The hymn begins in the Upper Room with the disciples and comes full circle as we join them and the Christians of every age around the table and are nourished to serve others in the world. Alleluya! Alleluya! Touch we now thy garment’s hem. Alleluya! Alleluya! So knit thou our friendship up. That by caring, helping, giving, We may true disciples be. Alleluya! Alleluya! We will serve thee faithfully. Here is a lovely rendition of the anthem. It would make an excellent wedding anthem, as here, with harp accompaniment. Percival “Percy” Dearmer (27 February 1867 – 29 May 1936) was an English priest and liturgist best known as the author of The Parson’s Handbook, a liturgical manual for Anglican clergy. Dearmer also had a strong influence on the music of the church and, with Ralph Vaughan Williams and Martin Shaw, is credited with the revival and spread of traditional and medieval English musical forms. Working with renowned composer Ralph Vaughan Williams and as musical editor, Dearmer published The English Hymnal in 1906. He again worked with Vaughan Williams and Martin Shaw to produce Songs of Praise (1926) and the Oxford Book of Carols (1928). These hymnals have been credited with reintroducing many elements of traditional and medieval English music into the Church of England, as well as carrying that influence well beyond the church. In 1931 an enlarged edition of Songs of Praise was published. It is notable for the first appearance of the song “Morning Has Broken”, commissioned from noted children’s author Eleanor Farjeon. The song, later popularised by Cat Stevens, was written by Farjeon to be sung with the traditional Gaelic tune Bunessan. Songs of Praise also contained Dearmer’s version of “A Great and Mighty Wonder” which mixed John Mason Neale’s Greek translation and a translation of the German Es ist ein Ros entsprungen from which the music to the hymn had come in 1906. The hymn is an adaptation of an anthem. 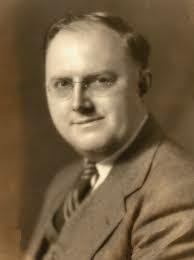 The anthem, Draw Us in the Spirit’s Tether, was written in 1945 by one of America’s more influential church musicians of the 20th century, Harold Friedell (1905-1958). Born in Queens, New York on May 11, 1905, the young Harold began his church music career as the organist at the Methodist Church of Jamaica, Long Island before eventually serving on the faculties at the Julliard School of Music, the Guilmant Organ School, and later teaching composition and improvisation at the School of Sacred Music of Union Theological Seminary in New York. He served as organist-choirmaster at St. John’s Episcopal Church in Jersey City Heights, New Jersey and later at New York’s Calvary Episcopal Church, where the dynamic The Rev. Samuel Moor Shoemaker served as rector. During his tenure at Calvary, Friedell founded a series of oratorio concerts and recitals that firmly established Calvary’s name in Church music history. It was also during this time that his famous anthem Draw Us in the Spirit’s Tether was written as a communion hymn for Pentecost Sunday 1945. By 1946, his work at Calvary had drawn critical acclaim and he was asked to succeed his mentor and teacher, David McK. Williams, as organist-choirmaster at Park Avenue’s esteemed St. Bartholomew’s Church. From 1946 until his death in 1958, throngs of people flocked to St. Bartholomew’s to hear the superb professional choir of 70 voices sing weekly Sunday afternoon services (Evensong) where the great choral repertoire of oratorios, passions, requiems, and recently composed works were performed in their entirety following the sung propers of the daily office. Rise up, o men of God was written in 1911 by the Presbyterian pastor William P. Merrill (1867—1954) to support the men’s movement in the church. Churches were aware of the lack of men in their congregations. The Men and Religion Forward Movement called men to discipleship so that they could help implement Christian principles in public life. It challenged men to take up the work of transforming the world in Christ. 2 Rise up, O men of God! Here is the Mormon Tabernacle Choir. Here is the Wheaton College Glee Club. William Merrill was born on January 10, 1867, in Orange, New Jersey, to George and Emily Merrill, both of English descent. During his youth, the family moved to Newburyport, Massachusetts, and then back to New Brunswick, New Jersey. Merrill earned his B.A. (1887), A.M. (1890), and D.D. (1904) from Rutgers. He also earned a B.D. (1890) from the Union Theological Seminary in the City of New York. Upon his ordination in 1890, Merrill became pastor of Trinity Presbyterian Church in Chestnut Hill, Pennsylvania, where he served until 1895. From 1895 until 1911, he served as pastor of the Sixth Presbyterian Church of Chicago. There he met his wife Clara (née Helmer). In 1911, Merrill was called to the Brick Presbyterian Church in New York City, where he served as pastor until 1938,when the merger with the Park Avenue Church took place and he resigned to become pastor emeritus. No­lan R. Best, then ed­it­or of The Con­ti­nent, hap­pened to say to me that there was ur­gent need of a bro­ther­hood hymn…The sug­gest­ion lin­gered in my mind, and just about that time I came up­on an ar­ti­cle by Ger­ald Stan­ley Lee, entitled “The Church of the Strong Men.” I was on one of the Lake Mi­chi­gan steam­ers go­ing back to Chi­ca­go for a Sun­day at my own church, when sud­den­ly this hymn came up, almost with­out conscious thought or ef­fort. 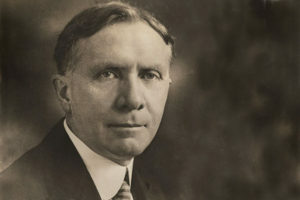 Merrill was named the first president on the Church Peace Union, an organization of religious, academic, and political leaders aimed at promoting pacifism. His 1914 sermon titled “The Making of Peace” was hailed by Andrew Carnegie as “…one of the greatest sermons on peace that he had ever heard.” Merrill was offered the presidency of Union Theological Seminary in 1917, but declined. He was elected Moderator of the Presbytery of New York in 1940, a position he held until 1942. The tune FESTAL SONG is by William Henry Walter (1825—1893). He was born in Newark, New Jersey, and was organist at both a Presbyterian and an Episcopal church there. From 1842 on he served various Episcopal churches in New York City and finally became organist at Trinity Chapel, Columbia University, in 1865. The university had granted him an honorary Doctor of Music degree in 1864. 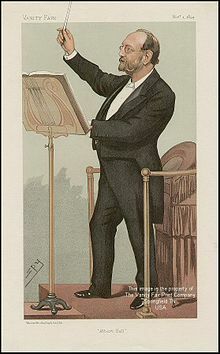 Walter wrote masses, service music, and anthems, but is best known for FESTAL SONG. Other publications include Manual of Church Music (1860), Chorals and Hymns, Hymnal with Tunes Old and New, Selections of Psalms with Chants (1857), The Common Prayer with Ritual Song (1868).